Heirloom Audio continues to put out extremely high-quality audio drama productions and In The Reign of Terror is no exception. We review this production in today's episode after Roy delivers a packed newscast. Then Sarah Grace's and Victoria's comments about Adventures in Odyssey cause us to have a lengthy AIO discussion that is nearly as long as the review and may be a bit controversial! JD also shares a few tidbits to wrap up this episode. Heirloom Audio has released their latest G.A. Henty adventure, Captain Bayley’s Heir along with an announcement of their new membership program called Live the Adventure Club. Saturday Morning Media recently wrapped up season 2 of their short-form audio drama for kids called The Mysterious Mysteries of Toby Taylor, The Fruit Magician. Audio drama newcomer, Mirari Pictures, has released an adaptation of The Strange Case of Dr. Jekyll and Mr. Hyde. 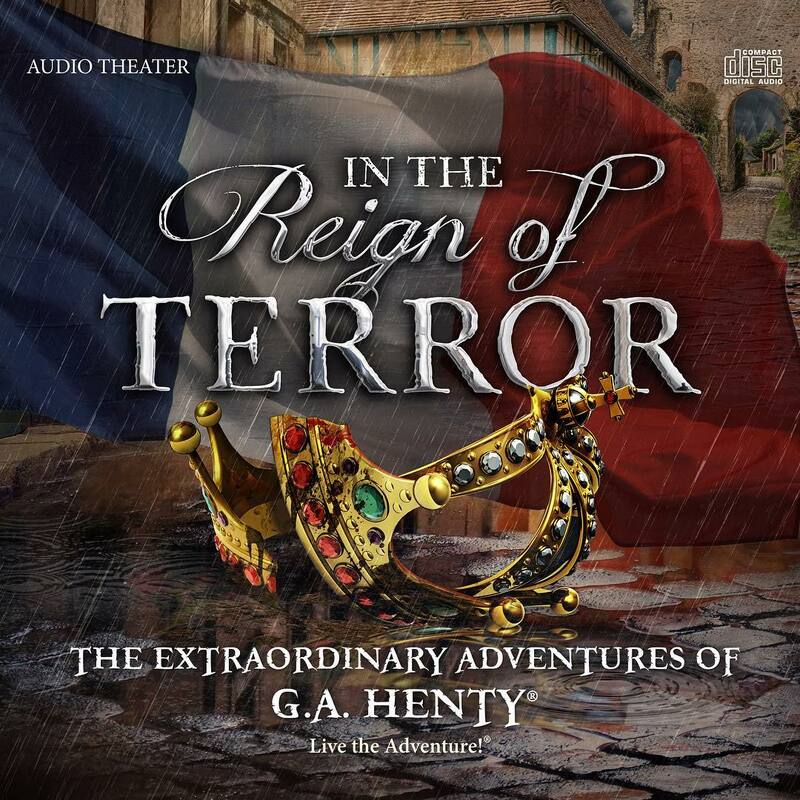 The audio drama and original soundtrack are currently available as digital downloads. Coral Island Adventures has announced that Series 4, titled The Cyberspace Adventure will be released in October 2017. 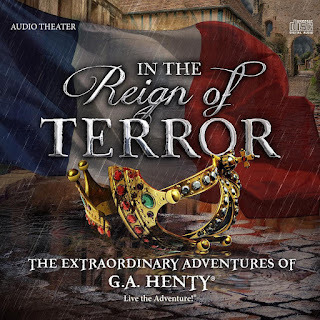 This is a fabulous audio drama that is packed with edge-of-your-seat action, great acting and production values. It is a heart-wrenching story with just a few moments of levity that we highly recommend you check out. 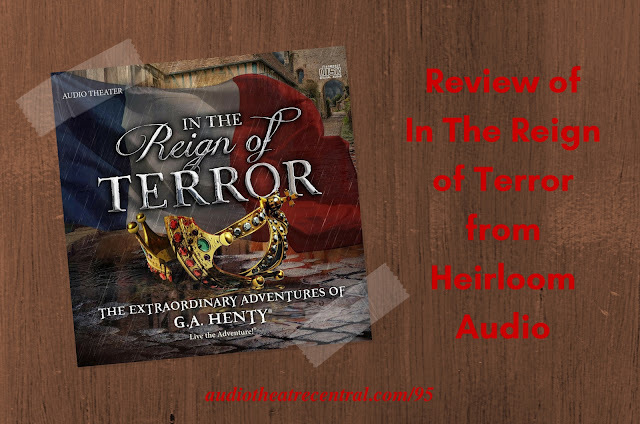 Grab your copy of In The Reign of Terror on Amazon. Or purchase directly from Heirloom Audio. Sarah Grace's comments about AIO characters incite a long discussion. Victoria also weighs in on various AIO related topics and again a long discussion follows. Garrett asked us: Ever considered measuring time by AIO seasons? JD will be going to the AIO GITS Finale. If you will be there he would like to meet you.